This season it's all about sweater dress! first time I spotted about sweater dressing at Acne Studio and Stella McCartney Fall 2014 runway. And then you know what happened, I'm fallin love with it. It's very fast like fallin love with charismatic man. I'm very happy when I've got this sweater dress at vintage store, it's conventional pullover intarsia-ed with woven details. 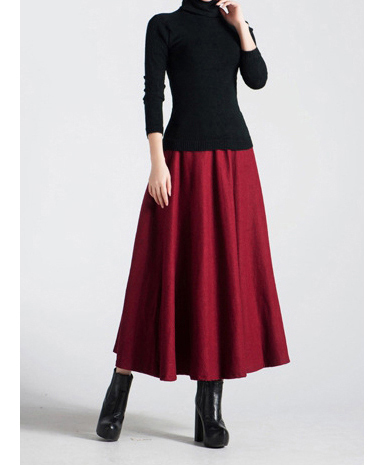 In my opinion this sweater dress is one of must have item because it allows you to look dress up in a few seconds and works with minimal accessorizing. I mixed it with mid skirt to create a great shapes for my body and balance them with silver tassel flats to catch people attention. For final touch I picked up my new DIY fur clutch. I just found about this site a couple of weeks back. I finally resigned of my stressful job and still in the process of seeking a new job, so buy now pay later catalogues is my options for my financial condition. Buy now pay later is a catalogue based credit option. I just need to choose the items that I need on a catalogues and I don't need to make the full payment at the first time. They are given a period of time where I can use the products and make the payment later. That's really cool! If you have same financial condition like me, I think you should try it! So, How about you ? 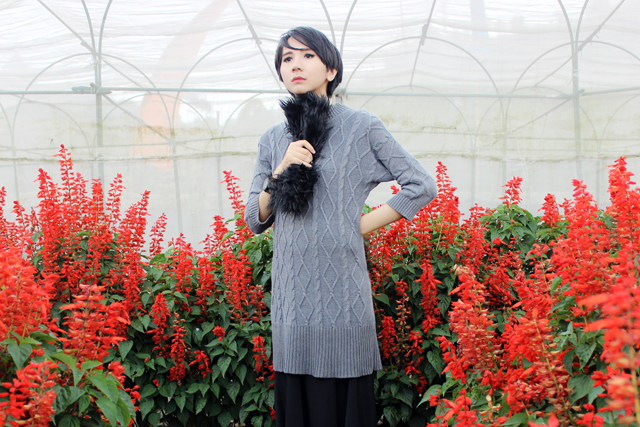 Do you fallin love with sweater dress too ?